With the Oscar nominations coming out this week, Hollywood expects moviegoers to rush out to see the nominees that they have yet to see. As such, only one wide release is out this weekend to serve as counter-programming. Two and a half years may have passed since the last Maze Runner movie hit the big screen. Due to more-than-understandable production delays, the third and final installment is finally here. 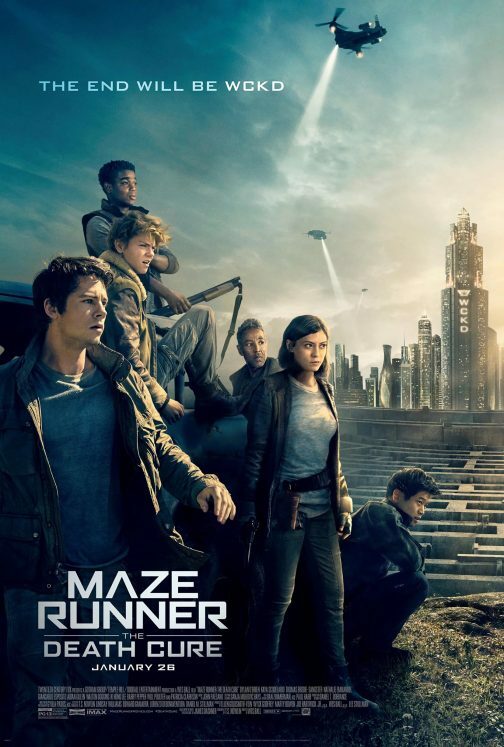 Being a fan of the series, I’m happy to say that the franchise is brought to a strong, tense and satisfying close in Maze Runner: The Death Cure. This morning I went on-air with Jon and Justin of Mix 105.1’s morning show, Morning Fix, to talk about The Death Cure and the current state Hollywood finds itself in as the Oscar ceremony nears. Listen to the audio of the segment below and skip ahead to the 18:48 mark! Listen to “Stay Out of the Ocean” on Spreaker.